The biggest end-of-season parties in Dubai are happening this weekend, and you’ve got plenty options to choose from. From rap star performances to farewell events, don’t miss the pre-summer celebrations going down. 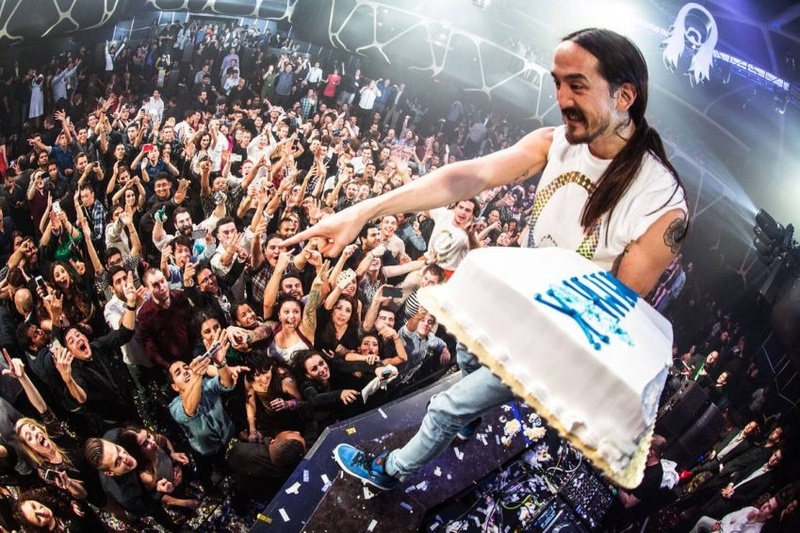 What’s on: Grammy-nominated, cake throwing music superstar Steve Aoki is headlining Gotha on Thursday night. Entry is FREE until midnight, after which tickets are AED 150 for men. Ladies enjoy complimentary bar from 11pm – 1am and free entry all night. For reservations, call +971 55 1 934 934. What’s on: American rapper Rick Ross is headlining Thursday night at Las Vegas hotspot Drai’s, which is offering FREE entry to the event. Doors open at 10pm. For reservations, call +971 52 388 8857. What’s on: Dubai nightlife stalwart 360° is shutting down for good, but not without a proper send-off. The venue is hosting a 72-hour farewell party from May 9 – May 11. Festivities kick off at 9pm on Wednesday with old skool hiphop and R&B from DJ Benyamin and DJ Sam B. On Thursday, expect old-school and soul vibes with Simon Reid and Jack Woodcock on the decks. On Friday, 360° is hosting double brunches, between 3pm-6pm and 8pm-11pm, priced at AED 295 per person. For reservations, call +971 4432 3232. What’s on: One of Russia’s biggest hip-hop breakout stars, Timati, is headlining a show at Billionaire Mansion on Thursday. For reservations, call 04 510 3100. 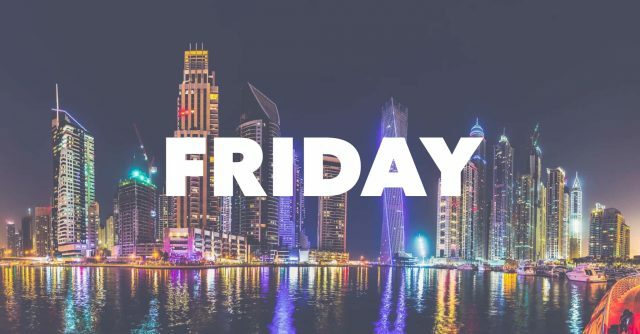 What’s on: Zero Gravity is hosting One Big Friday with Jonas Blue, whose hits include Mama and Perfect Strangers, alongside other artists including Blonde, Chris Wright and more. FREE entry from 5pm-8pm. FREE entry for ladies all night. AED 100 for guys after 8pm. Brunch runs from 1pm-5pm, including all-day pool and beach access, at AED 295 for ladies, and AED 315 for gents. For reservations, call +971 4 399 0009 | +971 55 500 9111. 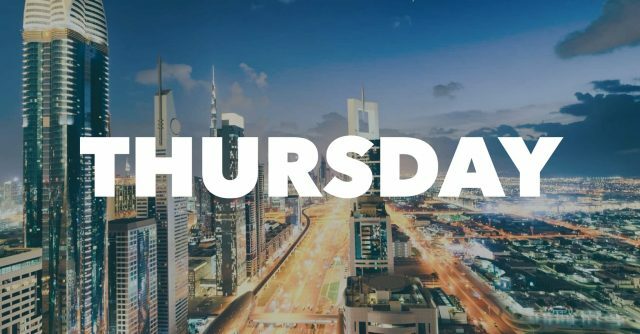 What’s on: Rapper Rick Ross joins the season finale celebrations at WHITE Dubai on Friday, with ladies’ night offers running until 1am. For reservations, call＋971 50 443 0933. What’s on: Come down for an epic season closer at Blue Marlin Dubai, featuring Dixon and Vaal on the decks. For reservations, call +971 56 113 3400. What’s on: The Mambo Ibiza residency on Friday at Soho Garden will feature Dutch-born DJ Chelina Manuhutu on the decks. For reservations, call +971 52 388 8849 / +971 56 822 2559. What’s on: British band Stereophonics are making their long-awaited return to Dubai on Friday, performing their biggest hits at Dubai Media City Amphitheater, with a line up of other guests. Tickets are AED 399. Buy your tickets here. What’s on: American hip-hop duo Rae Sremmurd are headlining the season closing party at Drai’s Dubai on Friday. Doors open at 12pm. First 100 ladies get FREE entrance. Tickets for ladies are AED 100 (before 3pm) or AED 200 (after 3pm). Tickets for guys are AED 200 (all tickets include 1 drink.) Buy tickets here. For reservations, call＋971 52 388 8857. What’s on: The season closing party at El Chiringuito will be headlined by the Do Not Sit on the Furniture tribe – Behrouz, &ME and Birds of Mind. Doors open at 4pm. For reservations, call +971 54 449 6464. 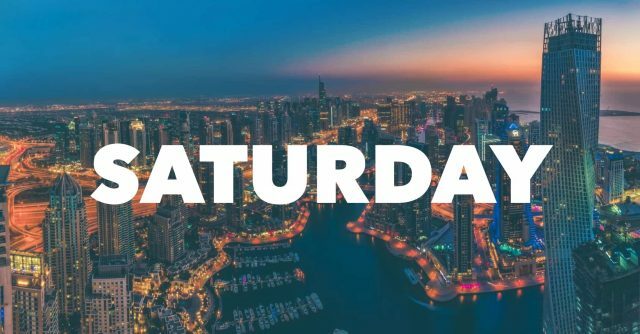 What’s on: On Saturday, American hip-hop duo Rae Sremmurd will be closing out the weekend at WHITE Dubai, with ladies’ night offers running until 1am. For reservations, call＋971 50 443 0933.